The man who inspired the lowest moment of George W. Bush’s presidency, drops another bomb on the American public this week with Drake‘s favorite rap album of the year. (PS You can still buy it for $3.99 at amazon.com.) -ed. It’s Black Friday week, so the new releases are minimum, but a bomb has been dropped by a certain Kanye West. Also worth mentioning are an EP from S.F.’s Girls, the latest from Giant Sand, Hafdis Huld, the soundtrack to 127 Hours from A.R. Rhahman and greatest hits compilation from Scotland’s Orange Juice. It’s rare this late in the year to be forced to tear up your year-end best of list and start again, but I’m betting My Beautiful Dark Twisted Fantasy has pretty much just done that for more than a few lists. The dude is as talented as he is impetuous, but it’s that direct line between his brain and his art that make much of his work so immediate. West moves from pain to exhileration in a heartbeat, producing goosebumps in the process. First single “Power,” with the inspired King Crimson’s “21st Century Schizoid Man” sample, cements West as the best producer in hip-hop, and the rap ain’t bad either. 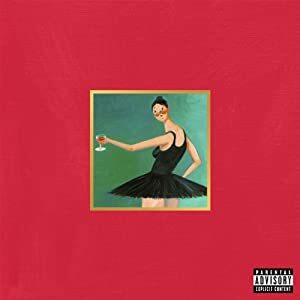 “Runaway,” “All of the Lights,” “Devil in a New Dress”… all burgeoning classics, connecting together to make what might be the best hip-hop album of all time. And West might be the most amply prepared artist for the backlash that comes with such hubris. Next Post Spider-Man Debuts on 60 Minutes and Broadway Tonight!